When picturing a highly successful CEO, the chances are somebody with a few wrinkles and grey hairs will spring to mind. In other words, establishing, managing and growing a thriving business is often seen as the product of a prestigious education and decades of experience. Even chief executives who are perceived to have ‘made it’ at a very young age tend to be in their late 20s or 30s, and they’ll often surround themselves with an arsenal of senior businesspeople to advise on key strategic decisions. A new study by UK price-comparison website comparethemarket.com, however, indicates there is a new class of youthful entrepreneur emerging. Here, European CEO charts the rise of five influential CEOs born this millennium. 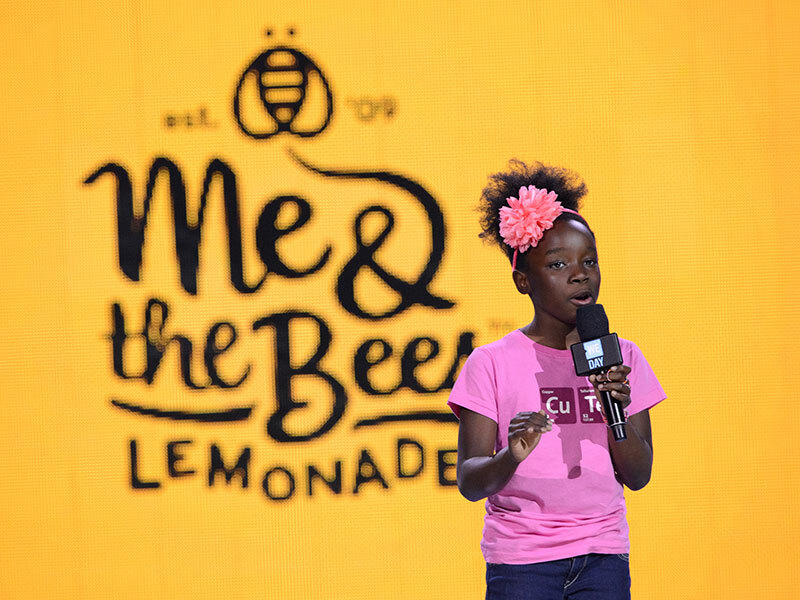 When Mikaila Ulmer was just four years old, her family encouraged her to make a product for the Acton Children’s Business Fair in her hometown of Austin, Texas. While Ulmer was dreaming up ideas for the competition, two events occurred that would change her life forever. First, a bee stung her twice. Second, Ulmer’s great grandmother sent her a 1940s cookbook, which included her special recipe for flaxseed lemonade. Following the stings, Ulmer became fascinated with the role of bees in the global ecosystem and set about incorporating this interest into a business that utilised her great grandmother’s recipe – Me & The Bees Lemonade was born. The recipe for Ulmer’s lemonade uses honey from local bees, while 10 percent of the profits from each bottle sold is donated to organisations fighting for honeybee welfare around the world. The business’ big breakthrough came in 2015, when it won an $11m (€9.8m) contract to supply health food retailer Whole Foods Market. Later that year, Ulmer appeared on US television show Shark Tank, where she won a $60,000 (€53,476) investment to grow Me & The Bees. Today, the company sells 360,000 bottles of lemonade per year. Now aged 14, Ulmer has become an inspiration in her own right, frequently participating in entrepreneurship panel discussions at events such as South by Southwest. Former US President Barack Obama even invited Ulmer to the White House in 2015, and she has appeared in Google’s ‘Dare to be Digital’ campaign. Belgian-born Shubham Banerjee had the idea for Braigo, a Braille printer design, when he was conducting research for a school science project in 2014. While investigating, Banerjee came across a fundraising flyer for the visually impaired, leading him to wonder how blind people read. When Banerjee began looking into Braille and Braille printers, he quickly realised that the majority of models on the market sold for over $2,000 (€1,782), making them unaffordable to most. Having learnt this fact, the 12-year-old entrepreneur set out to make a cheaper alternative using a Lego Robotics Kit. After perfecting his design – which slashed the price of a Braille printer to less than $500 (€446) – Banerjee shared it online in an open-source format. The move earned him an invitation to the White House Maker Faire, an event that celebrates young entrepreneurs and innovators. Banerjee’s design also attracted the attention of tech giant Intel: in November 2014, the company announced it would be funding Braigo Labs through its venture capital arm, Intel Capital. While the exact sum was not made public, Reuters has suggested the investment was “a few hundred thousand dollars”. Banerjee is the youngest tech entrepreneur ever to receive funding from a venture capital firm. Today, Braigo Labs continues to develop new generations of inexpensive Braille printers from its hub in Palo Alto, California. Banerjee, now 18, retains the title of CEO, although the company hasn’t made any announcements about new products since 2014. At just eight years old, Macedonian entrepreneur Isabella Dymalovski had set up her skincare line, Luv Ur Skin. She dreamt up the idea after her mother told her that adult products would be too harsh on her skin and advised that she use baby products instead. Unimpressed with this suggestion, Dymalovski began to develop a range that would be suitable for young girls who wanted to experiment with beauty products without damaging their skin. In 2015, the full range of products – including body lotion, lipgloss, nail varnish and moisturiser – was launched online in Australia, where Dymalovski currently lives. 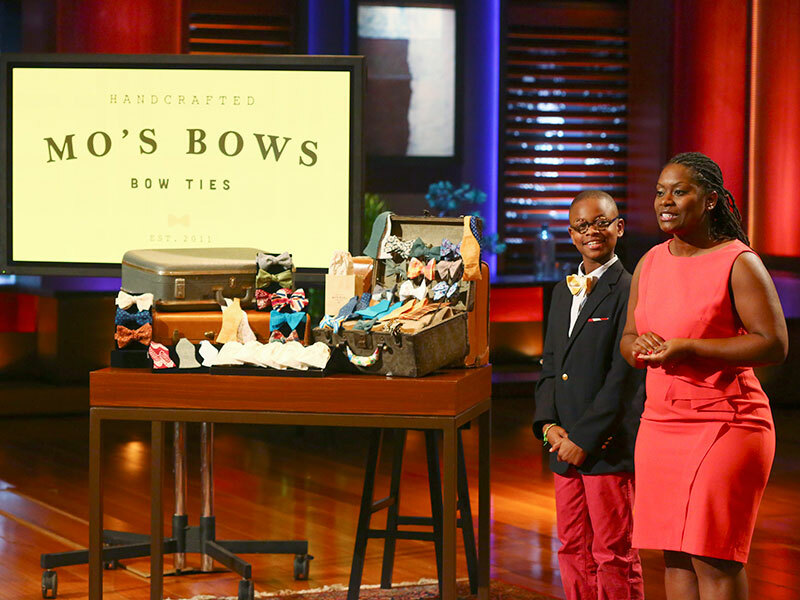 The following year, the 13-year-old CEO appeared on Shark Tank, where investors told her they would have invested “in a heartbeat” if she didn’t have four years of high school ahead of her. However, it transpired that Dymalovski didn’t need their help. In 2017, she launched Luv Ur Skin in the US, with plans to expand to Europe and Asia in the coming years. Now 17 years old, Dymalovski is balancing her role as CEO with her high school studies and a burgeoning career as a dancer and actor. Memphis-born Moziah Bridges always loved dressing up. In fact, he’d often wanted to wear three-piece suits to the playground, but hated the boring selection of accessories aimed at children. When his grandmother, a former seamstress, taught Bridges to sew aged nine, however, he found that a whole world of neckties, bow ties and pocket squares had suddenly opened up to him, as he was able to stitch them himself. From this discovery, Mo’s Bows was born. Bridges initially ran Mo’s Bows as a kitchen-table enterprise, but his big break came in 2014, when he – like Ulmer and Dymalovski – landed on entrepreneurship programme Shark Tank. Bridges walked away with the promise of mentorship from fashion mogul Daymond John, who has since helped him grow his business to epic proportions. In 2017, Bridges signed a seven-figure licensing deal with the US’ National Basketball Association (NBA), allowing the entrepreneur to use the NBA’s logo and distribute Mo’s Bows products in the official online store. Mo’s Bows accessories also grace the shelves of prestigious stores such as Neiman Marcus and Bloomingdale’s. Bridges plans to go to college and study fashion design when he graduates high school in 2020. UK entrepreneur Henry Patterson has set up not one but two companies at the tender age of just 14. His first venture, Not Before Tea, grew from a book that Patterson penned aged 10, entitled The Adventures of Sherb and Pip. When it was published in 2014, the book sold thousands of copies and, as a result of this success, Patterson decided to develop a range of spin-off products such as prints, cards, bags and pencil cases featuring the book’s whimsical characters. Patterson’s reputation has grown exponentially in the years since the launch, having been named as ‘one to watch’ by The Independent and becoming the youngest person ever to appear on CNBC’s business-related breakfast show, Squawk Box, in 2014. Patterson was also a keynote speaker at the prestigious 2016 Retail Week Live event in London, sharing the stage with executives from Google and Facebook. In 2018, Patterson penned a second book, Young and Mighty: Your Secret Weapon for Earning Some Money, Changing the World, and Spending Your Future Doing What You Love, which is part memoir, part advice manual for other budding entrepreneurs. He also launched an online academy, Young & Mighty, to provide short, practical training courses focused on developing ideas and building a business from scratch. What’s more, the platform provides free training sessions at schools, as well as one-to-one coaching with Patterson himself.